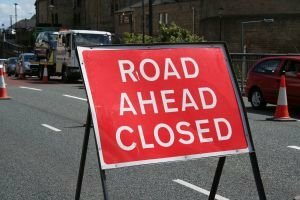 Several roads will be closed on May 31 and June 1. Brentwood, NY - May 27, 2014 - The annual Brentwood Cultural Street Festival will be held on Saturday, May 31 and the Suffolk County Police Third Precinct is advising motorists of road closures. Suffolk Avenue will be closed from Madison Avenue to Washington Avenue from 9 a.m. to 7 p.m. Motorists are encouraged to use alternate routes. The Brentwood Puerto Rican Day Parade will be held on Sunday, June 1 and the Suffolk County Police Third Precinct is advising motorists of road closures. Fifth Avenue will be closed from Industrial Court to 4th Avenue from 11 a.m. to 3 p.m. Motorists are encouraged to use alternate routes. Subject: LongIsland.com - Your Name sent you Article details of "SCPD: Road Closures in Brentwood for Cultural Street Fair and Puerto Rican Day Parade"